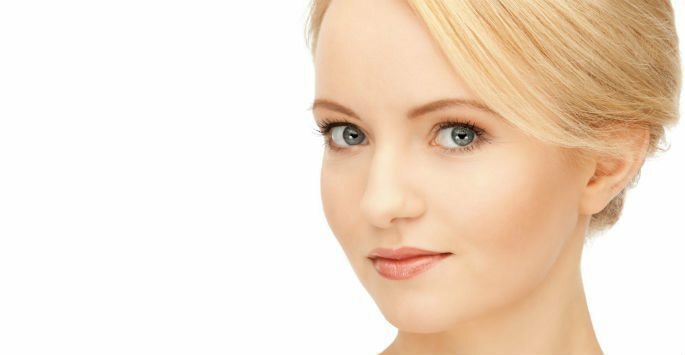 What is a PRP Vampire Facelift®? Using platelet-rich plasma, or PRP, and dermal fillers to help erase wrinkles and promote healthier skin growth is becoming more and more popular. Also known as a PRP Vampire Facelift®, this cosmetic treatment isn’t really a facelift at all. A facelift involves the repositioning of skin tissue. This treatment uses the patient’s own blood and dermal fillers to stimulate skin tissue growth as well as to kick-start an increase in collagen production. It’s a relatively simple procedure that doesn’t use chemicals and doesn’t require surgery. One of the advantages of PRP treatment is the low risk of side effects because the injections are made using the patient’s blood, so there is no chance of contamination. We encourage our potential clients to learn more about how PRP and dermal filler injections can help to restore the facial skin to a more youthful condition. The blood contains platelets. These help the blood to clot in the event of a cut or another wound that exposes the blood to oxygen in the atmosphere. The platelets bind together and form strands that prevent excessive bleeding. However, the platelets also contain growth factors that are important in the formation of new tissue. As the wound heals, the body sends nutrients to the affected area, and the platelets help with the regrowth process. The same thing happens when platelets are concentrated in a fibrin mix. When injected just beneath the skin, the damaged cells are flushed away and replaced by healthier tissue growth. This is how platelets, when heavily concentrated, can act as a growth stimulator. The incorporation of dermal fillers helps to add immediate volume to the area. We first consult with our clients and examine the facial skin closely. We look at the dynamic and static wrinkles, check the thickness of the skin and determine whether poor tissue support and a decrease in collagen production are causing the problem. If we choose to perform the PRP Vampire Facelift®, we schedule a treatment session that is agreeable to the client. Typically, an injection treatment session takes about an hour. We draw a small amount of blood from the patient, spin it down in a centrifuge to separate the plasma from the red cells and then combine the plasma and platelets into a fibrin mix. The platelets and the dermal fillers are then injected into the preselected areas. The dermal fillers will immediately plump up the facial skin, while the plasma and platelets will cling to the supportive tissues just beneath the skin. Over the next several weeks and months, the body will begin to produce healthier tissue, and the upper layers of skin will receive additional nutrients. The dead and damaged cells will be flushed away with other waste material. The process can be repeated at regular intervals if the initial treatment doesn’t yield the desired results. In most cases, only one or two sessions are necessary. The results are long-lasting, with non-set wrinkles becoming less and less visible over the first month after treatment. The client need not perform any sort of post-treatment care except normal cleaning and moisturizing. If the PRP Vampire Facelift® sounds like the treatment you’ve been seeking, schedule a consultation at Artisan’s Rejuvenation Med Spa in College Station. We’ll give you all the facts and show you exactly how this popular cosmetic treatment can minimize the appearance of age-related wrinkling as well as superficial scarring and skin discolorations. Contact our office today to book your appointment.